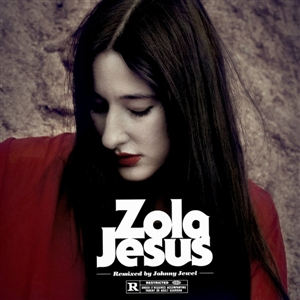 Zola Jesus/Johnny Jewel - Wiseblood (Johnny Jewel Remixes) - 12"
The new EP by Zola Jesus sees Nika Roza Danilova revisiting a pair of songs from her 2017 album, Okovi, alongside prolific composer and musician Johnny Jewel. In a nod to the maxi singles of the 1980s, the album features multiple remixed versions of the two songs, "Ash to Bone" and "Wiseblood." The track "Wiseblood (Johnny Jewel Remix)" is featured in the soundtrack to the film Beautiful Boy, directed by Felix Van Groeningen and starring TimothAce Chalamet and Steve Carell.